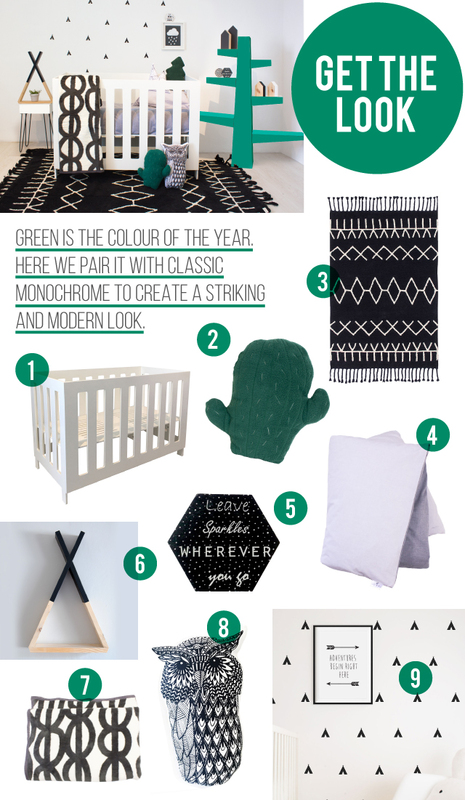 We have been so inspired by the green and monochrome look that we put together our own version for you this week. We had such fun styling this nursery. Here we feature the Cozi Sleeper Cot (link) which comes in at really good value for money, we think it is the perfect simple yet modern cot for any nursery and it includes a toddler conversion panel! We’ve selected a beautiful Lorene Canals rug, our in-house Bunni bedding range called Rebel and paired it with some cuty pie Kideroo and Fox & Moon scatters and Simply Child decor items.